There’s no better home for Electric Cars than in the land of Jefferson and Washington, in the spirit of keeping Virginia green. All are invited to come and learn more about electric cars with 3 local, Northern Virginia events in 2016. Meet local Electric Car drivers who will be sharing their experiences with driving an Electric Car in the Capitol region. Nothing speaks more highly of the popularity of Electric Cars in Virginia than the experiences of those who drive them every day, rain or shine, in every season of the year. 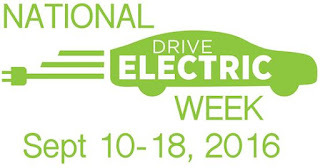 Firstly, on Saturday, 10 September, local electric car drivers will gather at MOM’s Organic Market in Woodbridge, VA, to celebrate the electric car and kick off Drive Electric Week in Virginia. Snacks will be provided by MOM’s and anyone interested may sign up for a silent auction of various donated items from local businesses such as MOM’s Organic Market and Stone’s Cove KitBar. Lindsay Chevrolet will also be there with a new Volt. On Saturday, 17 September, we move the event to MOM’s Organic Market in Arlington, just outside of the Nation’s Capital, across from McCoy Park and the Custis Trail. The silent auction continues in Arlington while snacks are again provided by MOM’s Organic Market. Local Electric Car dealers have also been contacted and we hope to have a number of new models on display. Also, in Ashland, Virginia, on 10 September, we are holding the first annual Electric Car Road Rally from Richmond to Woodbridge. This event mirrors similar rallies from the dawn of the motor car in the 1910s, back when Electric Cars were as popular as gasoline cars, before the advent of the electric starter. And upon arriving in Woodbridge, at 14:00, Prince William Supervisor Frank Principi is scheduled to speak in recognition of Drive Electric Week 2016. 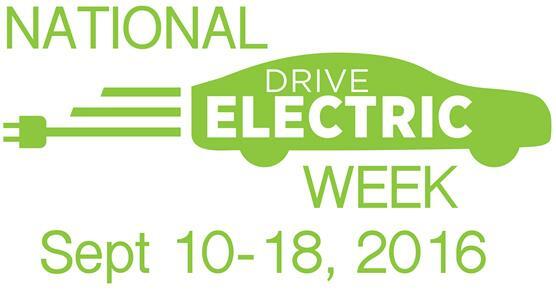 National Drive Electric Week is an annual event sponsored by Plug-In America, the Electric Auto Association, and the Sierra Club. Save money and support the environment, all while using 100% domestically produced energy. Experience what it means to drive an Electric Car yourself. 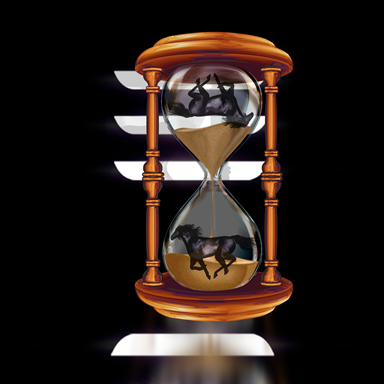 If you would like more information about this topic, please contact Jeffrey C. Jacobs at 703-209-2976 or email at aecn@timehorse.com.